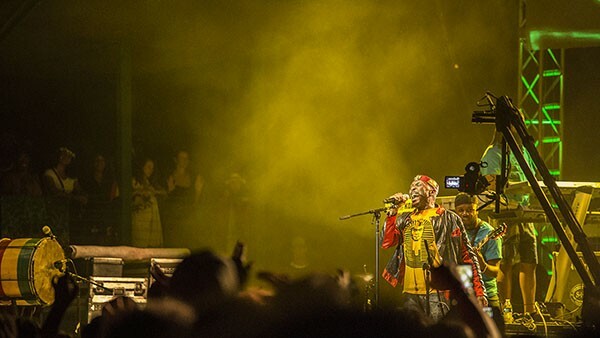 Reggae legend Jimmy Cliff headlining night two of the 30th Annual Reggae On The River 2014, Saturday Aug. 2. 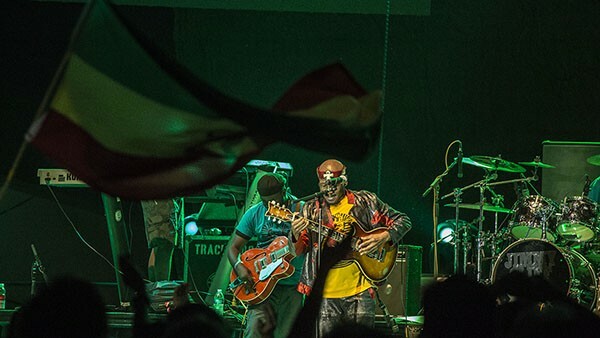 Saturday evening at Reggae on the River continued with one of reggae’s oldest performing groups, Third World. 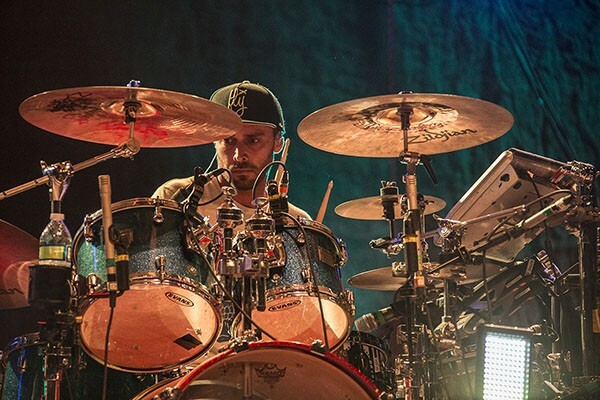 After its one-of-a-kind performance, sunshine-reggae group Iration further livened up the crowd and got guests ready for the living legend and reggae icon Jimmy Cliff. Cliff’s performance was elaborate, beautiful and electrifying to say the least. After returning for an encore, Cliff left the crowd by finishing with the song “One More” from his 2012 album, Rebirth. 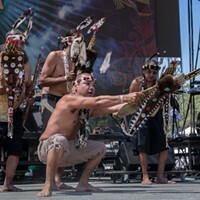 Sunday morning began with a Closing Blessing which included a song sang and drummed by Karuk, Yurok, and Hoopa tribe members. 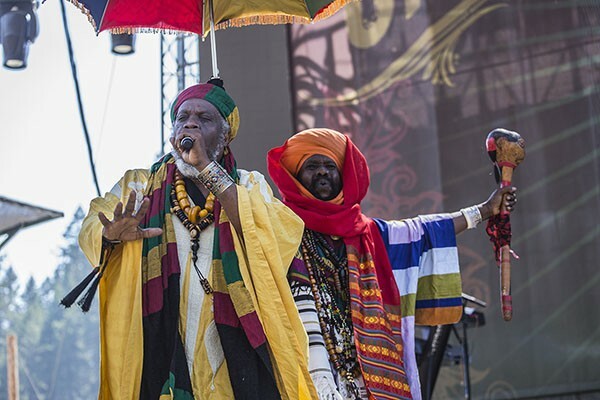 The evening had an earlier setlist with Israel Vibration and Alpha Blondy & The Solar System closing out the festival by 10pm. Some guests could be seen drudging their belongings from campsite to car throughout the entire day. It was apparent that the heat had won the battle against some. Still, nearly 9,000 people including staff managed to enjoy a boiling weekend without any major problems or incidents. 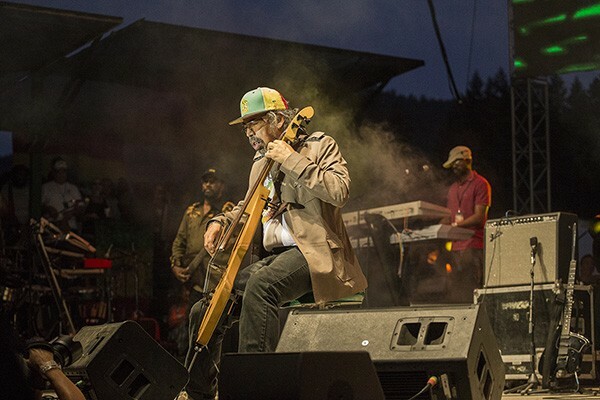 The 30th Annual Reggae On The River 2014 produced a whirlwind of exquisite performances sure to be remembered. 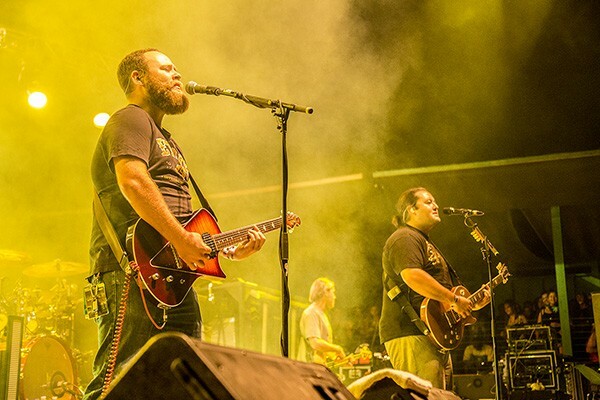 Micah Brown, left, and Micah Pueschel of Iration performing at the 30th Annual Reggae On The River 2014, Saturday Aug. 2. 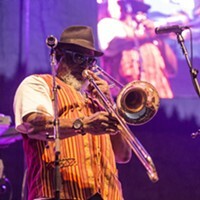 Stephen "Cat" Coore of the Jamaican group Third World, performing at the 30th Annual Reggae On The River 2014, Saturday Aug. 2. 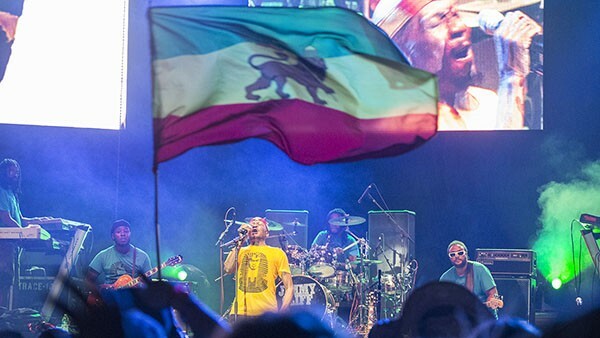 Joseph Dickens of Iration performing at the 30th Annual Reggae On The River 2014, Saturday Aug. 2. 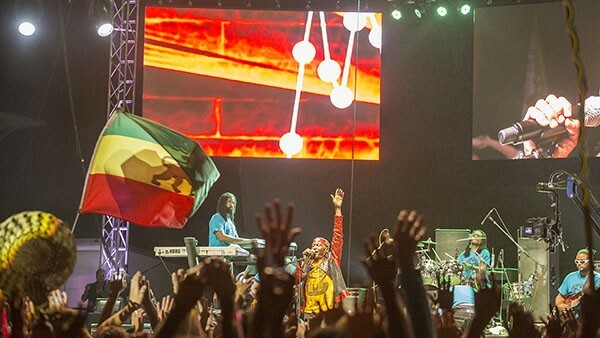 Reggae Legend Jimmy Cliff closing out night two of the 30th Annual Reggae On The River 2014, Saturday Aug. 2. 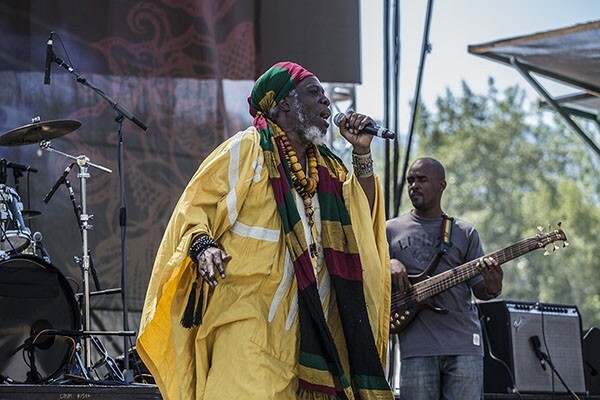 Mutabaruka performing at the 30th Annual Reggae On The River 2014, Sunday Aug. 3. 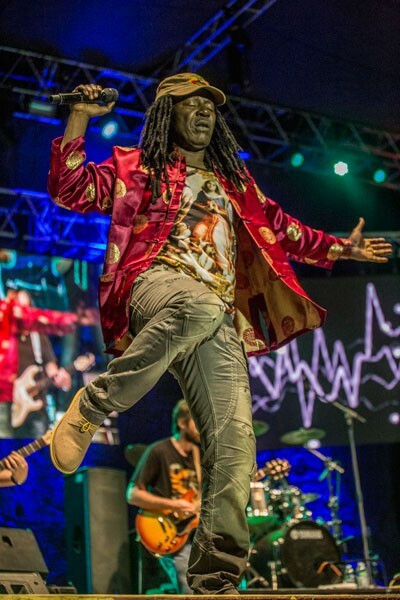 Alpha Blondy closing out the 30th Annual Reggae On The River 2014, Sunday Aug. 3. 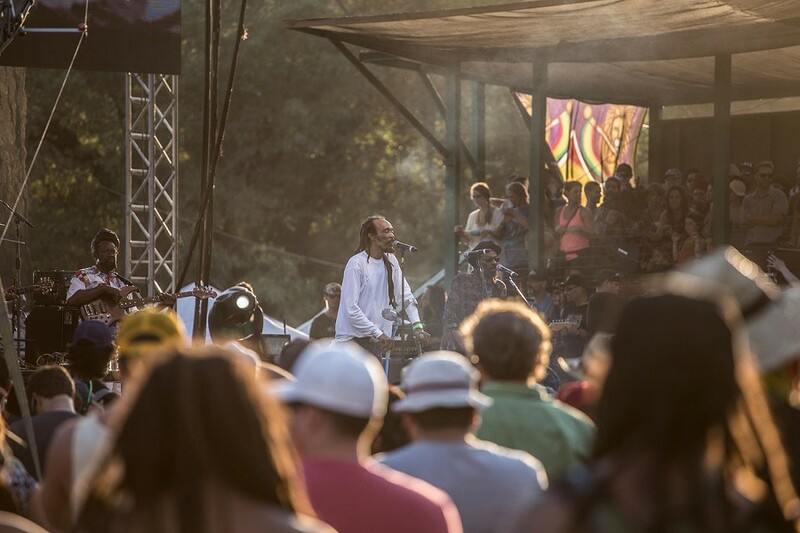 Israel Vibration performing at the 30th Annual Reggae On The River 2014, Sunday Aug. 3.